Agriculture is the backbone of most countries and with the advent of big data analytics, we see a shift in the operation of the agricultural sector. 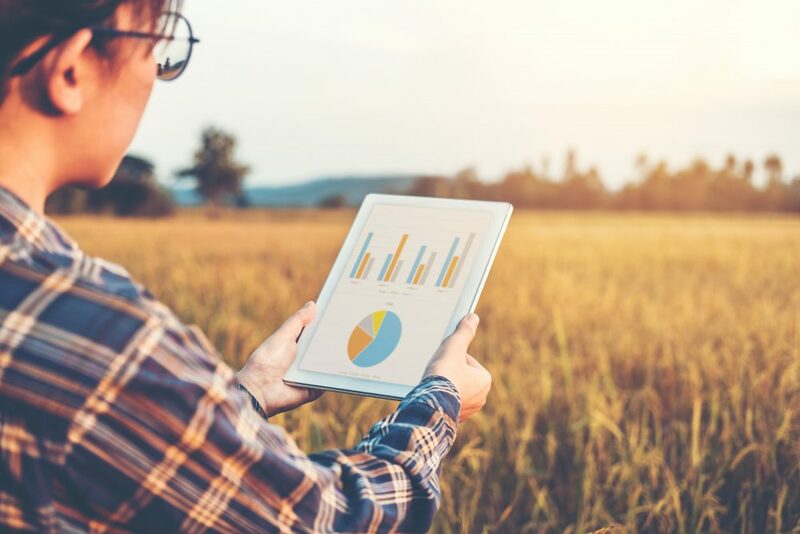 With agricultural analytics paving the way for innovation, the sector is able to make much-needed changes by deriving effective key data insights. According to McKinsey & Company, about a third of food produced is lost or wasted every year. Globally, that’s a $940 billion economic hit. Inefficiencies in planting, harvesting, water use, and trucking, as well as uncertainty about the weather, pests, consumer demand, and other intangibles, contribute to the loss. These are problems desperately in need of solutions and many of those solutions can be found in emerging technologies. Big data is moving into agriculture in a big way with investors recently dropping a combined $40 million into Farmers Business Network. Venture capital has flooded the agricultural tech space, with investment increasing 80% annually since 2012, as investors realise big data can revolutionise the food chain from farm to table. Read on to find out more on how agricultural analytics is paving the way for much-needed innovation in the farming sector. The farmers spend a lot of their time worrying about how the crops will turn out to be. Crop predictions during the course of years have been anything but correct, until now. With the help of high-end and useful computer algorithms to review the years and sometimes decades of weather and crop information, present-day farmers can foresee their yield with absolute accuracy, and that too, before even planting a single seed in the soil. The insight offered by big data and agricultural analytics enable the farmers to initiate and harvest their yield at the best time, and this helps to maximise the harvests. Farmers are also compelled to spend a lot of time worrying about their crop. However, accurate crop forecasting saves them from the stress of worrying about their crop from time to time. Sensors on fields and crops are starting to provide literally granular data points on soil conditions, as well as detailed information on wind, fertilizer requirements, water availability and pest infestations. GPS units on tractors, combines and trucks can help determine optimal usage of heavy equipment. Data analytics can help prevent spoilage by moving products faster and more efficiently. Unmanned aerial vehicles, or drones, can patrol fields and alert farmers to crop ripeness or potential problems. Precision agriculture or automated farming is the new way to grow crops. Though, there is no doubt about the fact that, for years, farmers have been using several varied solutions to automate and keep track of a plethora of agricultural procedures. Now, big data analytics solutions completely separate the commercial agriculturalists from the pack. With recent and exponential developments in big data, AI, internet, and drone technology, agricultural automation has reached a new level! Farmers are now even using drones with cutting-edge sensors to survey the crops, keep their data updated, and inform them about the areas that require improvement. The technology is growing at a rapid speed and it is anticipated to move from gauging to even planting and harvesting. Big data analytics is all about looking for the tiniest of errors in a system and rectifying them, thus the technology helps the farmers to check the quality of their crops to a new height! Big data analytics has made a noteworthy impact in the agricultural industry, however, it’s hard to pin down all of its effects and even tougher to forecast just how much more transformation it might bring about. However, one thing is for certain – the impact of big data on farming has, is, and will surely continue to be refreshing and beneficial for the farmers and actors throughout the agricultural space. By adopting newer big data-enabled technologies to make full use of big data analytics, farmers can leverage these insights to increase efficiency, reduce waste, leverage predictive capabilities, and manage yield better – all with the power of greater insights! For more information on how agricultural analytics is paving the way for innovation in the agricultural sector and for services that can help you manage your operations with SAS, visit our site and check out our services.